Have you ever wondered if there’s any difference in running outside versus running on the treadmill? There is, in fact, a slight difference. Outdoor running exposes you to wind resistance and a variety of different terrains, such as gravel, potholes, or hills. The treadmill, however, eliminates wind resistance and terrain by providing a controlled environment and a flat, smooth surface to run on. Therefore, the effort of running on a treadmill is less than that of running on a level road at the same pace. Many people assume that they can just increase the treadmill incline to 1% in order to make up for this difference in effort, however this is inaccurate. Shown below is a chart of the approximate equivalent efforts of running on a treadmill versus outside. Of course both forms of running are beneficial for your health! Here are some of the positives for both types. Treadmill: constant environment (temperature, humidity level, and surface), variety of programs, less impact on joints, information displays, and safely able to listen to music (through headphones). 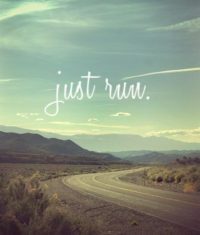 Outside: variety of routes and scenery, no equipment necessary, easily accessible – you can start running from your house, surface variation, and more realistic if training for an outdoor run/race. Whether you prefer the treadmill or being outside, running is running! And it will provide you with amazing benefits! Improved mood and reduced stress by releasing endorphins in the brain. Improved cardiovascular health and reduced risk of heart disease. Improved circulation and immune function. Assisting in reducing body fat percentage. ← Don’t Forget Your Forearms!